You know how sometimes on a walk a photo finds you? A scene that is ready-made for you to capture. What you see tells a story and the light is good leaving you with the fun part, the capture. How do you want to tell that story? 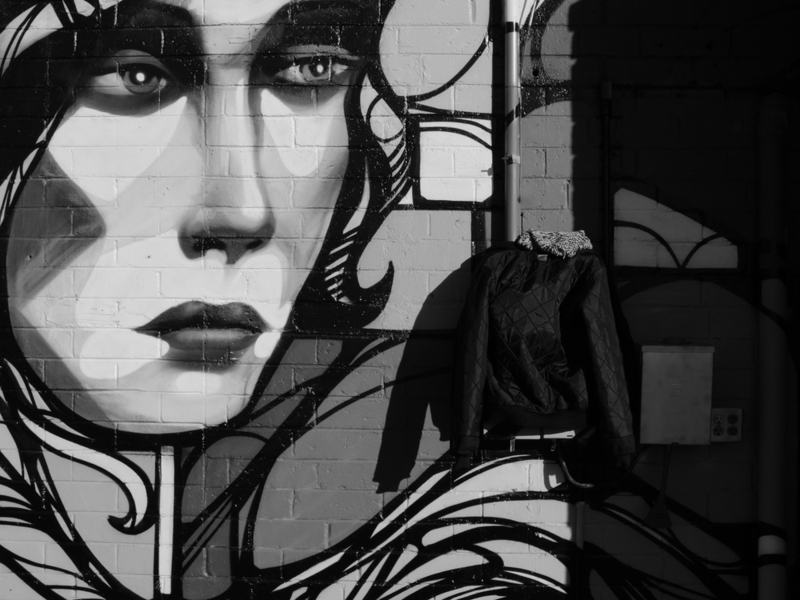 When I came across this mural I thought she might be missing her friend who left their jacket behind. Maybe that was not just her friend but the artist that painted the mural, her creator.